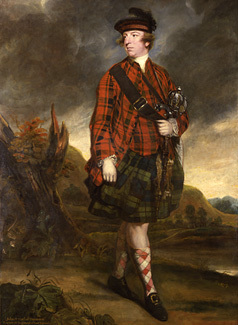 John Murray, the fourth earl of Dunmore and royal governor of Virginia at the start of the American Revolution. Courtesy of the Scottish National Portrait Gallery. The champion of the British policy was John Murray, fourth earl of Dunmore. With his proclamation of freedom to fugitive blacks in 1775, Lord Dunmore became the enemy of American slaveholders and the hero of thousands of African Americans who crossed to the British side. Dunmore acted out of strategic concerns, not altruism, and he was never able to muster more than 800 troops. (He assembled 10,000 toward the close of the war, but the British commander refused to deploy them.) Nonetheless, he succeeded in harassing the Americans by enticing away their slaves and forcing them to commit greater resources to guard their plantations.